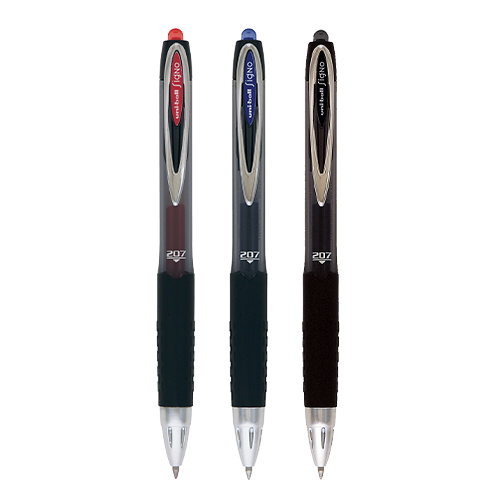 The uniball Signo 207 is a premium quality gel ink rollerball pen. It features a rubber grip for comfort and has a transparent barrel so that you can see when you are running low on ink. The Signo 207 also contains UNI Super Ink, which is fade resistant, water resistant and tamper proof.